In no particular order, these are some of the artists who impressed me with new music in the past year. As I gear up to release some new work in 2019, I can say for sure that these artists have influenced my creative process. Logic released two albums this year: his trap-heavy Bobby Tarantino II mixtape fell flat for me, and honestly seemed like a death knell for the lyrically dense, quick-witted hip-hop that I love about him as an artist. How blessed then, for his fourth studio album, YSIV to drop in September. It’s an absolutely joy, filled with rapid-fire rhymes, lots of old-school shoutouts, and just enough gangster swagger to fit the “Young Sinatra” moniker. Everybody Knows propelled Partner to worldwide attention this year, with an appearance on NPR’s Tiny Desk Concerts and at SXSW. Their fun pop-punk is the perfect roadtrip soundtrack. When I learned that the band is based in Windsor, my first thought was, “of course”. There’s something so Windsor about their distinctive blend of rockin’ out and carelessness. These 4 MCs should honestly each have their own superstar careers by now. It’s time for Toronto hip-hop to sound like more than Drake and Drake knock-offs. Listening to Superorganism is like candy for your ears. Richly layered, genre-bending, with a surprise around every corner. I think of their music as an evolution of the vapourwave aesthetic. Self-aware of their superficiality, but they just do it so well. What a storyteller. Saba pulls you close into his Chicago neighbourhood and threads a needle through the spaces between all the violence. Cars, guns and drugs are a backdrop for the richer, more interesting stories about family, friends, and finding purpose as a young man. This afrofuturist duo is everything I want to see in hip-hop and R&B going into 2019. Spacey spiritualism meets mellow beats meets unpredictable flows. They’re pushing the envelope in all the right ways, and I’m so glad to see their debut album is titled Bittersweet vol. 1. Can we expect a vol. 2 soon? It was great to hear those opening lines – “Damn, it feels good to back!” – after Shad returned to making music this year. With his stint as the host of CBC’s Q behind him, he’s experimenting with a concept album and I’m totally here for it. In each a new morality! I wanted to go to bed early tonight, but Melissa wouldn’t let me. I managed to get a 20-minute nap in after dinner before she woke me up and forced me to stay awake until a reasonable hour like a grown-up should. I was in a funny sort of headspace, and wrote this poem in a fit of inspiration. Is your player not working? In October 2012, Bandcamp changed the way they handle layout files. If you created a custom layout prior to this time and it’s not working, you’ll have to make a new one, I’m afraid. Back in 2010, I created a handy little app to generate JSON code for the Bandcamp API. The API lets you customise your bandcamp players, offering detailed options beyond the standard five or six layouts. Now, I’ve completely rewritten the app to make it faster and easier to use. You don’t need to know a thing about JSON anymore, nor do you need your own server to upload the layout files. It’s just point, click, copy, and paste. Having complete control over the look and feel of your embedded Bandcamp players has never been easier. So head on over and try it out! And by the way, you can generate players for any album on Bandcamp, including big name artists like Sufjan Stevens and Coeur de Pirate. Awesome, eh? In 5 years of playing live shows, my fondest memories have been at the annual St. Paul’s Blackforest Coffee House. Maybe that’s because St. Paul’s was my first home-away-from-home. Maybe it’s the laid-back atmosphere and the heaps of black forest cake. Certainly, part of it is the company. The event’s lineup of hugely talented musicians (not counting myself in that number) always makes for a great night of music and mingling. So, if you’re in the Waterloo area this Friday night be sure to come out to St. Paul’s and enjoy the festivities! This year is especially special, because the event turns 40! Word on the street is that one of the performers from the original 1972 show will be playing his set list from back then - phenomenal! Bring your daisy chains, people. UK hip-hop artist Reveal’s reflection on the 2011 Tottenham riots is an amazing work of art. I haven’t been able to get it out of my head for the past week, and I’m not complaining. The lyrics are a raw blow-by-blow account of how a peaceful protest by people disaffected with the police was transformed into a senseless rampage of violence that spread across the country. I attempted a cover of my own, layering piano and guitar underneath the vocals and incorporated more harmonies in the chorus. Have a listen and let me know what you think! That said, the original is totally worth a listen. Reveal can pack more emotional punch in his delivery than I have ever seen before. Inspired by my 5-month stint in Lausanne, Switzerland, “Hello World” is a 5-song EP that drops today. Featuring two songs in French, it reflects my experiences living on the Old Continent. Hello World, the title track, explores the desire for meaning beyond shiny toys and credit cards. Tout de même is a reflection of my uneasiness at being thrown into a new and foreign place. As I began to feel more comfortable and meet people, I wrote Stitching the Sky as a celebration of true brotherhood, and a call to reach out to our neighbours. The Courts are Closed on Sundays is a sobering reminder that relationships (and not just romantic ones) can crash and burn, and when they do, it’s hard to keep your chin up. The album ends with La vie est belle, a song that pays tribute to the beautiful city that is Lausanne. The digital album is pay-what-you-can, and the Creative Commons license lets you share and remix to your heart’s delight. So have a listen, comment, spread the word and download it! Mark your calendars for Sunday, June 12 - that’s when I’ll be performing alongside The Billie Hollies, Lazu Lie, and other great local talent at the first annual Grand Porch Party in uptown Waterloo! The Grand Porch Party is the ultimate combination of music and good old-fashioned neighbourliness! Musicians will be playing free outdoor shows on the front porches of homes in uptown Waterloo, behind the Town Square. Sponsored by Alternatives Journal, this is sure to be an afternoon of awesomeness. Bring your friends and come chill on the porch! You know I’ll be bringing my tambourine and conga drum, and I’m looking for audience participation. The great thing about releasing music online is you can add bonus songs to albums long after the official release date. My latest song, “One Big Shot”, is a call to action for peaceful protest, celebrating the bravery of the demonstrators at Toronto’s G20 summit last summer. I just got around to finishing it up, and today it’s released as the fifth track on my “Colours and Signs” EP (which was originally released back in August). Take a listen and download it for free! This is the new TV commercial for Joe Fresh Style, a clothing company owned by the Loblaws chain of supermarkets. Like the time that I blogged about Canwest, I saw this advertisement and immediately realised that something wasn’t right. As I said, it’s a beautiful song. It’s an anthemic call to action for our materialistic, consumer-driven society to eschew these “pleasures of the first world” because “when our hearts are full we need much less”. Needless to say, I’m dismayed that this song is now being piped through our TV sets to endorse a line of budget clothes made in Bangladesh. Loblaws doesn’t mention Joe Fresh Style at all in its corporate social responsibility targets - the company has made great strides with organic and local food, but this line of clothing is the same crap that gets pushed out of South Asian factories to Wal-Mart and Zellers. With this in mind, the commercial doesn’t even make sense. It’d be like playing John Lennon in a recruiting advertisement for the Armed Forces. I’m a little hurt because when I hear that song, it’s a personal challenge to resist consumerism and live with love. Pairing those lyrics with an ad for Joe Fresh Style makes me think that the band must have lost its moral compass - and that the lyrics are less genuine because of it. Sellouts. I’m equally disappointed with Loblaws, who thought that just because they throw in a catchy song, people will buy their crap clothes. The advertisement splices the song into an unoffending 15-second clip, whitewashing its true meaning. Corporate greed knows no bounds. On Monday night, I played a set at Sweet Dreams Tea Shop. They have wonderful bubble tea and board games in their lovely little cafe. I played a bunch of new songs that I had written in Europe, and this is one of them. It’s called Hello World. That’s it! Hope to see you at one of the shows - I’ve got a lot of new material and you won’t want to miss it! So I spent a week in and around Dresden with my uncle’s family over the Christmas/New Year holiday, during which I wrote a long poem-turned-rap about everything that we had gone to see and do. I just had time to record it today. I think I hit all the major points! Being away from home, far from my guitar and microphones, has put a digital spin on my songwriting and composing lately. In keeping with my idea of making an EP for each city I live in, I’ve written a few songs inspired by my time in Lausanne. The problem is, I can’t record them until I’m back in Waterloo, unless you want an EP recorded with a warped guitar from the Salvation Army and a laptop microphone. That said, I’ve been laying out the foundation for a couple songs in Logic. Things like time signature, some percussion, and background textures to make the recording easier once I get back home. Since I can’t record any guitar or vocals, though, I’ve been playing around a lot with the virtual instruments in Logic. Synths and drum kits and strings, oh my! I have a feeling that this EP is going to be a lot more electronic than my previous ones. The gated synth sound is so cool. No autotune though, I can promise you that. I can’t stand autotune. Edit: There is a new version of this app that’s easier than ever to use! Check out the new version. If you’re a tech-savvy musician and haven’t heard of Bandcamp, you’re missing out. One of their many phenomenal features that was recently released is the ability to have complete pixel-perfect control over the layout of your embedded media players (like the one you can see in the sidebar to the left). Leave bug reports and feature requests in the comments below. I hope this is useful for some people! Note: There are still a couple features to add, namely support for text colour and tracklist row height. I’ll get to those after I’m done my research report - this app is a result of me procrastinating on that! 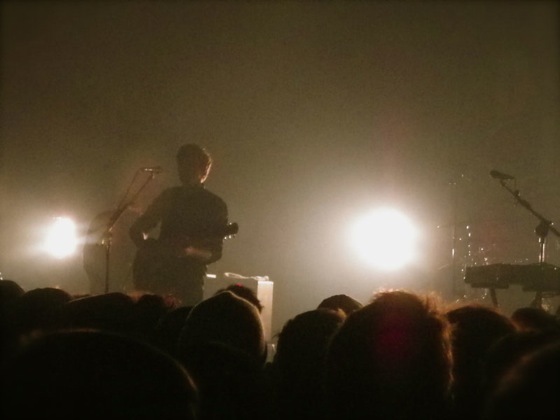 Photos that I take at concerts usually turn out as a disappointing smear of blurred figures and blinding lights. The combination of a jostling crowd, dark atmosphere, and a cheap compact camera don’t make for the best mementos. So I’m glad that these ones kind of turned out. I went to Les Docks with a few friends last night to see Two Door Cinema Club, an Irish pop band that is apparently huge in Australia. I had only heard one of their songs before the concert, Something Good Can Work, which always brings a smile to my face when it pops up on shuffle. 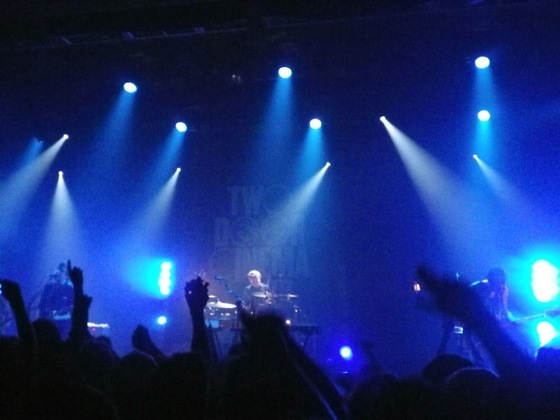 They performed a decidedly short set of solid, danceable electro-pop tunes. I had a good time! It’s December! Time to bring out those silver bells… I’m a huge fan of Christmas music. Give me some Burl Ives or Dean Martin to listen to on repeat all day and I’m good. My favourites are the songs that are recorded from the Christmas TV specials, where you’ll have Dean Martin soliloquizing before he starts to sing. Rosie Thomas - Why Can’t It Be Christmastime All Year? 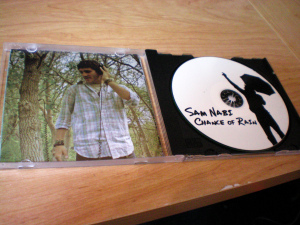 So, even though Sufjan stole my thunder, I released an EP today too! It’s called Colours and Signs. That’s right. If you came to my show last night at The Bean, you would have got a sneak peek of the fourth and final song in my summer EP. And now, you can download the entire album for free, just because I love you guys so much. So have a listen and share it with your friends! The newest song, Smoke Signals, is perfect for a mellow night, sitting by the campfire. Just what you need to make this long weekend great. Also recently released is Metropolis, an anthem for the hustle and bustle of the city. Perfect for when you’re stuck in traffic on the 401, trying to get to cottage country! Good news: you can download both of them right here. You’re welcome. PS: If you haven’t seen it yet, check out Sam’s Soapbox #8. I talk about the census and libertarianism and such. A summer videoblog! I’m so excited! No, it’s not about the G20. I wouldn’t know where to start. So it’s been a couple weeks since I moved into the big city… I’ve been overwhelmed by the new sights and sounds, which inspired me to finally record a new song! It’s been a while, but now you can head over to my Bandcamp page and download “Asylum”. It’s pretty rockin’. Yes, that’s right. It’s a free download! What’s more, it’s licenced under Creative Commons so you can share, remix, and distribute (but not sell) to your heart’s content! The best way to tell your friends is to just give them the website URL (http://samnabi.bandcamp.com/track/asylum). This track is part of a larger project that I hope to complete before August. I’m going to be moving around a lot over the next couple years, so I thought it’d be cool to create a sort of musical scrapbook for every new city that I live in. Over the next two months, I’ll be exploring this city, writing new songs, and recording them. Eventually, I’ll have an EP that captures my impression of this city. To keep up to date on the project, follow me on Facebook or Twitter. If you want to be the first to receive new freebies and extra awesomeness, subscribe to the mailing list! I didn’t make it through to the final round, but it was quite the ride while it lasted! I wouldn’t have envied being the judges, everyone in the semifinals was phenomenal. To check out the other performers, as well as when the finals are going to be held, check out RJ Entertainment. Are you suffering from post-reading-week stress? Need to wind down and hang out for a couple nights? Don’t want to pay $15 to see Lights at Fed Hall? I’m playing 2 shows this week, on Thursday and Saturday. Both are raising money for charity, and I’d love for you to come! Two great shows, two great causes! As always, $1 from every CD sale will go towards the night’s fundraising efforts. So come on out and support independent music! On Tuesday, February 23, I’ll be competing in the 1st Annual Grad House Songwriting Competition at the University of Waterloo. There will be judges there to critique my performance and decide if I get to move on to the semifinals in May! I’m the very first performance right at 6PM. So come on time! I hope you can come; it’s gonna be awesome! As promised, here’s a video collage of some of the songs I played at my CD release concert. 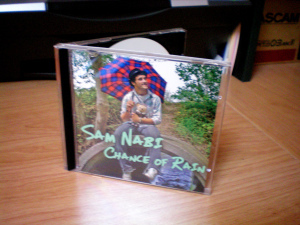 If you haven’t got a copy of Chance of Rain yet, head over to samnabi.bandcamp.com to buy a physical copy or download it instantly! All you cool cats who find yourselves in the Kitchener-Waterloo area on December 11th, come check out the CD Release concert for Chance of Rain! Tell all your friends, it’s gonna be a great night! Not likely. But it was still fun! For all you people out there who wanted to buy my music but don’t have a PayPal account, your time has come! The Sam Nabi Store, over at www.samnabi.com, now accepts all major credit cards - Visa, MasterCard, Amex, and Discover - in addition to PayPal. Wonderful! Heads up: this is only for digital downloads. You’ll need a PayPal account to purchase physical CDs or other merch, at least for now. 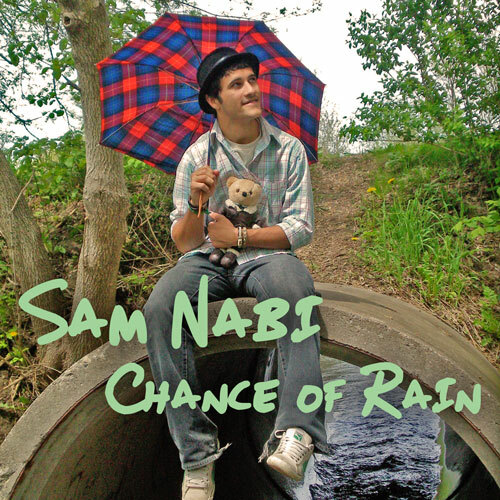 Head over to www.samnabi.com to check it out! 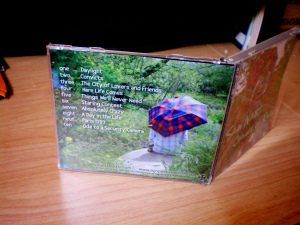 I went to pick up the CDs from the printer yesterday, and boy do they look gorgeous! Here’s some photos that you can feast your little eyes on until the CD release concerts this saturday! That’s right, only 4 days till you can claim one of these beauties as your own! More political musings and satirical songwriting from yours truly. This one’s about Question period. Warning: contains footage of Stéphane Dion trying to act tough. So, what does Chance of Rain look like? Well, after a little photo shoot and a weekend with photoshop, here is the cover art for the new CD! Yum! Sit tight! Chance of Rain will be out soon… For now, you can go to my website to pre-order a copy for yourself! Think you can do better? Post your idea as a comment below! My guitar case is open on the floor, beside the keyboard and my amp. If I want to go to bed I’ll have to find somewhere else to put my guitar. I think there’s sufficient messiness to justify not cleaning up until I’ve recorded the rest of the second album. Speaking of which, I only have 3 songs left to record! I just spent all afternoon/evening working on Daylight, and I now have 7 songs recorded. It’ll feel good when I’m done. So I still don’t have an album title. This is where you come in. You obviously care enough to read this blog, which is good enough dedication for me :) Here’s the deal: if you haven’t already, read my previous blog post. Now, based on those hints, I want you to think really hard of an album title that fits. Something cool, catchy, and not too complicated. Post it as a comment here. There’s a free copy of the CD in it for you if I like your idea, so let’s get at it! P.S. Feel free to post more than one! So, for those of you who don’t know… I’m on the road to making my second album, woohoo! I’m not going to give away all the details yet, but I will tell you that this one will be more political, less introspective, more outspoken, and a little more quirky than my first album. After a gruelling auditioning process, I have chosen 10 songs out of my chicken-scratch songbook to appear on the CD! I’ve chosen NOT to divulge the names of these songs yet, but I will describe each song in one sentence so you can get a feel of what this new album is shaping up to be. Regardless of idealistic intentions, revolutions cause terrible violence and unspeakable horrors. What is war good for - can’t we just use our words? The automobile is ripping apart the fabric of our societies. We are too pampered and comfy to genuinely care about others. We’ve all done wrong, and as humans don’t deserve much at all. I can see the light at the end of the tunnel. I’m out of my element here, but, hey, that’s life. Where do you draw the line between friendship and romance? Big Brother is watching you. But maybe he’s just lonely and needs a hug. It’s really awkward when you look at strangers and they look at you too. I know some of you will be able to tell which songs are which - but not all of them, I bet! Well, this is my foray into videoblogging territory, because I figure that Music+Politics=Awesome! After I hop up on my soapbox and finish criticising Canwest, you’ll get to hear a new, yet-tobe-released song that i’ve been working on called “the city of lovers and friends”. Happy viewing! I really want to get going on a second album this summer, and hopefully have it all together before I go out west to Edmonton in July. This summer will be full of adventure for me, and I really don’t know what to expect. What you can all expect, though, is some new tunes rolling your way pretty soon! It’s been over a year and a half since I released my first full-length album, so I think it’s about time for another one! I want to do something fun with the release of this second album, I don’t know, maybe have a contest to design the cover art, or stream a different song each week leading up to the release, or … something completely random, I don’t know! If you have a fun, quirky idea for the CD release, leave a comment… if I use your suggestion, of course, I’ll throw a free autographed copy your way! The weather’s great, the sun is shining, and I’m lining up an album chock full of good new tunes! What could be better? I’ve put up 4 songs from my radio session with Steve Krysak over at the Mixed Frequencies studio. They’re up on my website now - these songs have never been released before! They’re completely free to download, so what are you waiting for? Go to www.samnabi.bandcamp.com to stream and download the interview. All right, so I have a date set with 100.3 Sound FM on 20 October (it’s a Monday), during the Mixed Frequencies radio show from 1:00 to 4:00pm. Sound FM 100.3 in Waterloo, Ontario is bringing my music to the K-W area! My debut CD is now in the playlist, so if you listen on Mondays from 1-4pm, during Steve’s Mixed Frequencies program, you might hear one of my songs! I’m getting a date set soon for an acoustic set on the air, so stay tuned for that as well! As summer draws to a close and many of us are moving on to bigger and better things, I thought I’d write a song about my anticipation, and dread, at starting a new chapter in my life. This song is free for everyone to listen to and download. I hope you take it with you wherever you go, and remember that change is constant; ready or not, here life comes. 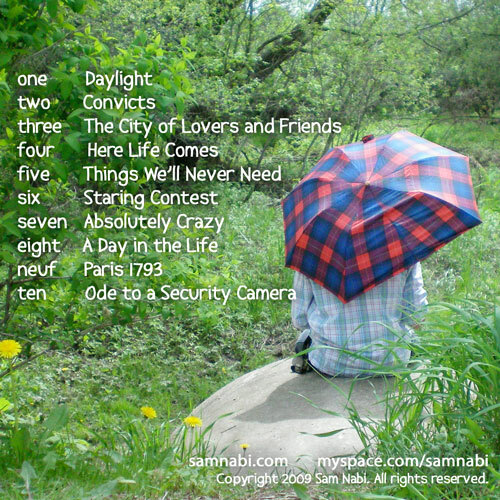 Get the free track at http://samnabi.bandcamp.com/track/here-life-comes-demo. I’ve just realized that most of the songs in my iTunes library are over 2 years old. That’s kind of sad. But what’s even more shocking is that I haven’t grown tired of it yet. I don’t usually listen to music just for the sake of listening; most of the time it serves as a background for other things I may be doing. Take washing dishes for example, or homework. The repetition of songs keeps me in a kind of groove that helps me work better. I guess it gets kind of redundant, but I find that I still like most, if not all, of the songs. Sometimes I think i should get some new tunes, but I really don’t feel like it. The other thing I notice is that when I listen to the same songs over and over again, I hear so much more of the song. My selective hearing gets so good, I can tune out every part of the song except for, say, the bass, or the background trumpet. When you tune in to different parts of the song, you can learn to appreciate it more as a whole. So, before you ditch your old music collection for the latest CDs, try listening to them just one more time. You’ll hear a lot more than you expect.